Alternative natural remedies for good cat health are a fast growing business, as consumer awareness increases. Health problems can be treated using herbal supplements, proper nutrition and homeopathic treatment. These therapies include; chiropractic manipulation, nutritional therapy, herbal medicine, vitamins and minerals, homeopathy, therapeutic massage, and acupuncture. The American Holistic Veterinary Medicine Association (AHVMA) states, “Holistic medicine, by its very nature, is humane to the core.” Furthermore, alternative veterinarians often work together with a doctor of veterinary medicine to offer quality medical care. It is suggested that consulting a veterinarian for a cat that is in pain or has a serious illness should be the first step of care. Occasionally, a cat will eat grass, which will typically make him vomit. This is actually a natural herbal remedy of nature for stomach complaints. Herbal medicines are better accepted by cats, and they do not have side effects. Numerous herbal remedies are now available for cats. They cure a variety of ailments, such as: vomiting, constipation, bowel disorders, urinary problems and other illnesses. 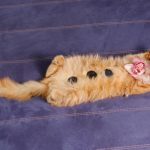 Felines also get some of the same illness as human beings; such as, arthritis, cancer, bowel disorders and heart ailments can also affect cats. Many people choose to avoid prescription medications, due to their potential side effects. Cat owners often opt to treat tapeworms with herbal remedies, as these remedies treat and prevent tapeworms. Herbs that successfully treat tape worms include Wormword and Ruta graveolens, as they cleanse the digestive system, which restores intestinal balance. Cloves and Neem also act as a natural parasite repellent. In addition, these herbs have antiseptic and antibacterial properties. These herbs may take a little longer to work, but they are considered safer. Each of these may be found on a natural pet care website, at the office of an alternative veterinarian, or in local pet specialty shops. When cats have a mild episode of diarrhea, try withholding food for 24 to 48 hours, but keep water available. After the diarrhea stops, feed your cat a diet of cooked rice and chicken in small amount 3-6 times daily. Then, begin to introduce your cat’s normal diet slowly. Herbal remedies will also provide relief, plus assist your cat in maintaining good digestive health. Several homeopathic ingredients help to maintain bowel function, such as Podophyllum, Sulpher and Arsen album. Herbal flea collars are also widely available, as well as, remedies for other parasites. These are very useful for cats with sensitive skin. Cats may also have allergies, which will show up as skin disorders. A cat may have dry, flaky skin, hair loss, itching, groom themselves excessively or become very jumpy. First, you check the skin for parasites. Internally, any toxic material must be eliminated. Veterinarians typically give short term corticosteroid injections. To treat skin problems in a natural way, after eliminating parasites, evaluate the cat’s food. Cats should be fed a quality food, chemical free without by-products. Quite often, dry cat food will contain too many grains, which tends to increase inflammation, arthritis symptoms, ear infections and skin problems. A raw or homemade diet is ideal, but if that is not possible, use commercial products that list meat as the first ingredient. Salmon oil is also a very healthy skin supplement. Homeopathic medicine provides nosodes, as an alternative to the standard vaccines. Nosodes are a preparation made from the matter of a sick animal, such as a respiratory discharge, and then it is prepared with alcohol and repeated dilution, which renders the nosode harmless. This process produces a powerful remedy for preventing disease, without side effects. This has been an accepted treatment by homeopathic veterinarians for many years. As a consumer of cat products, it is certainly valuable to take the time to research homeopathic medicine for your feline. There are a huge number of healthy herbs available to treat many feline diseases.